The #1 trusted mobile cash for gold buyer in Toronto, Vaughan, Woodbridge, Markham, the GTA, and surrounding areas - we can come to you any day, any time! Top Gold Exchange pays the most for your gold, diamonds, and jewellery. Get instant cash for gold anywhere in Ontario - we buy Rolex, Patek Phillippe, Hublot, diamonds, all types of gold, jewellery, and much more! Just fill-in the form below and provide us with some details about what you are selling. Your #1 trusted mobile cash for gold buyer - available 24/7. Top Gold Exchange is the GTA's #1 trusted mobile cash for gold buyer. We travel to you to buy your gold, diamonds, jewellery, and more! Three decades of experience in the jewellery industry lets us give your the best offer for your gold - on the spot. Our team's extensive knowledge of the market and insight on popular jewellery trends will give you the best price for your gold, diamonds, and jewellery. Get the most cash for your gold, diamonds, and jewellery. We pay the most in the GTA for your gold, diamonds, jewellery and more! Visit us today or call us to book an appointment and we'll come to you. 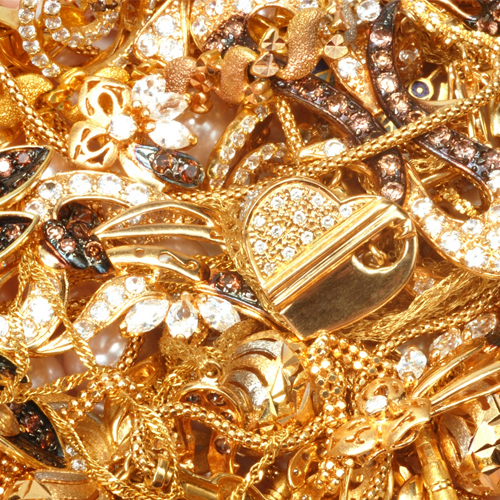 We've helped hundreds of customers get the most money for their gold, diamonds, and jewellery! Our goal is to give you the most money for your gold, diamonds, and jewellery - on the spot! Read what past customers have said about our incredible service and give us a call today. I've been looking for a place to sell my gold for a while. Top Gold Exchange not only gave me a higher offer than others but they also came to my home and paid me on the spot. It was fast and easy. Top Gold Exchange purchased my Rolex the other day. After calling them, they drove to me and assessed my watch on the spot. They even gave me a cash offer on the spot! Would strongly recommend them to anyone looking to sell their jewellery.